On 25 November 2015, the High Court of Paris indicted Marc Fellous, former chairman of France’s Biomolecular Engineering Commission, for “forgery” and “the use of forgery”, in a libel trial that he lost to Prof Gilles-Eric Séralini. The Biomolecular Engineering Commission has authorised many GM crops for consumption. The details of the case have not yet been publicly released but a source close to the case told GMWatch that Fellous had used or copied the signature of a scientist without his agreement to argue that Séralini and his co-researchers were wrong in their reassessment of Monsanto studies. The Séralini team’s re-assessment reported finding signs of toxicity in the raw data from Monsanto’s own rat feeding studies with GM maize. The sentence against Fellous has not yet been passed and is expected in June 2016. The latest ruling marks a second court victory for Séralini’s team. 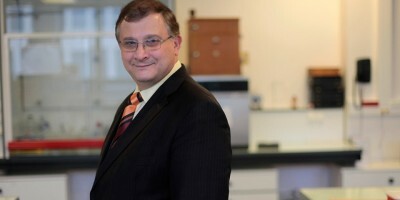 In September 2012, an article written by Jean-Claude Jaillette in Marianne magazine said that “researchers around the world” had voiced “harsh words” about the research of Séralini and his team on the toxic effects of a GMO and Roundup over a long term period – research that was supported by the independent organisation CRIIGEN. The journalist wrote of a “scientific fraud in which the methodology served to reinforce pre-determined results”. Séralini, his team, and CRIIGEN challenged this allegation in a defamation lawsuit. They were assisted by the notaries Bernard Dartevelle and Cindy Gay. On 6 November 2015, after a criminal investigation lasting three years, the 17th Criminal Chamber of the High Court of Paris passed sentence. Marianne magazine and its journalist were fined for public defamation of a public official and public defamation of the researchers and of CRIIGEN, which is chaired by Dr Joel Spiroux de Vendômois. The trial demonstrated that the original author of the fraud accusation, prior to Marianne, was the American lobbyist Henry I. Miller in Forbes magazine. Miller had previously lobbied to discredit research linking tobacco to cancer and heart disease on behalf of the tobacco industry. Since then he has tried to do the same in support of GMOs and pesticides, through defamation. The long-term toxicity study by Séralini’s team was republished after the journal Food and Chemical Toxicology retracted it under pressure from lobbyists. Séralini’s team has just published a summary of the toxic effects of Roundup below regulatory thresholds. These court actions have taken up an enormous amount of energy and funds. CRIIGEN cannot survive without public support.